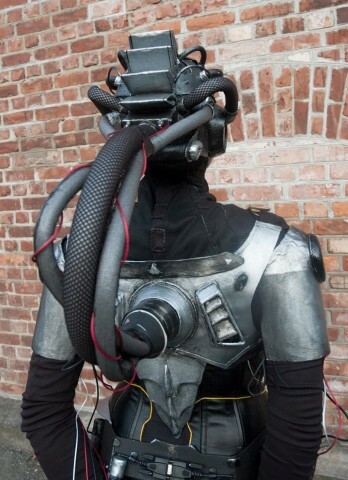 StarCraft 2 Adjutant Cosplay « Adafruit Industries – Makers, hackers, artists, designers and engineers! I started with a Styrofoam head and covered it with worbla, then I had a base to add other details on. Because I’m cheap I use a base of cardboard for some of my details instead of double worbla layer or craft foam core. 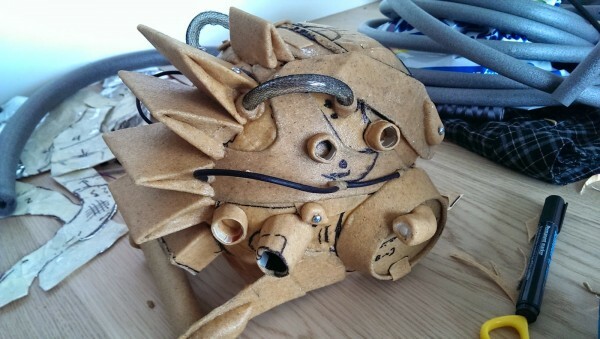 The mohawk portion of the headpiece is simply folded worbla, and she also used worbla to make plugs to fit in the tubes. She applied a layer of black gesso and then applied silver paint for highlights. Read more about the costume at Chrix Designs. Top photo by Danarki, bottom photo by Pål Andresen.